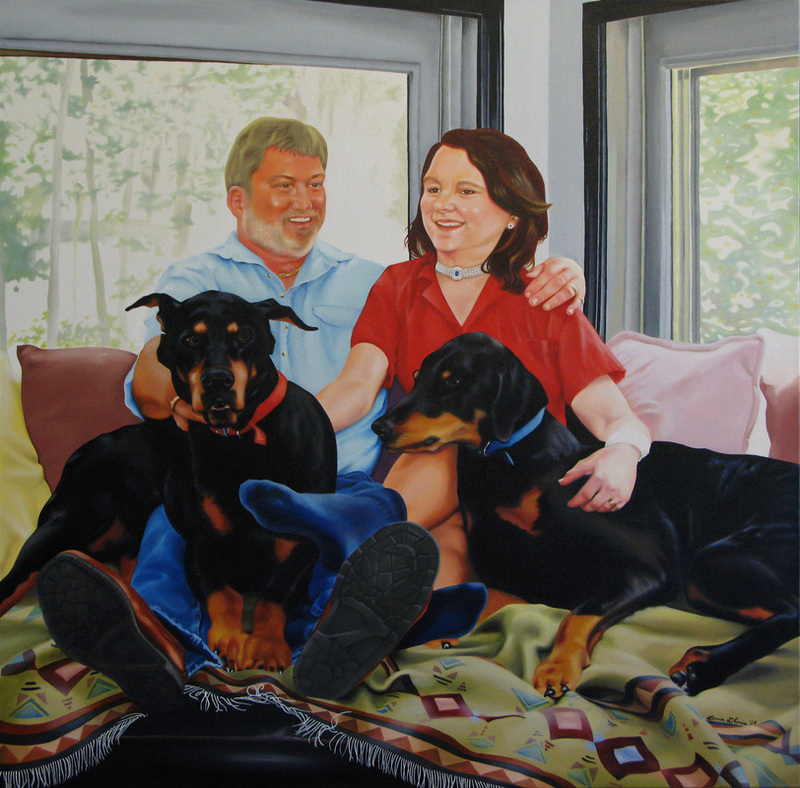 Painting of children's book author Sharon Rounds and architect Steve Rounds, with their Doberman Pinschers, commissioned by the Rounds family. "Bonnie Gloris is by far a very talented and gifted artist. After seeing her work and acquiring a couple items, we asked her to help us create a very special family portrait. From the photo-shoot through correspondences, to the final product, Bonnie made the process fun, exciting and interesting. She gave us a portrait that we absolutely love and will cherish forever. We could not be happier and are looking forward to our next artistic experience with her." "The Rounds Family," 2009. Oil paint on canvas. 48 x 48 inches.